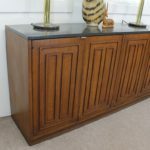 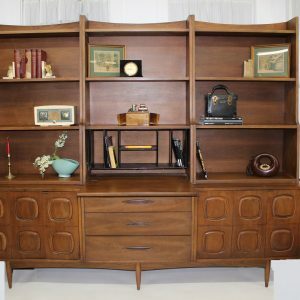 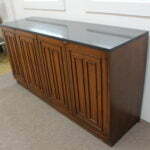 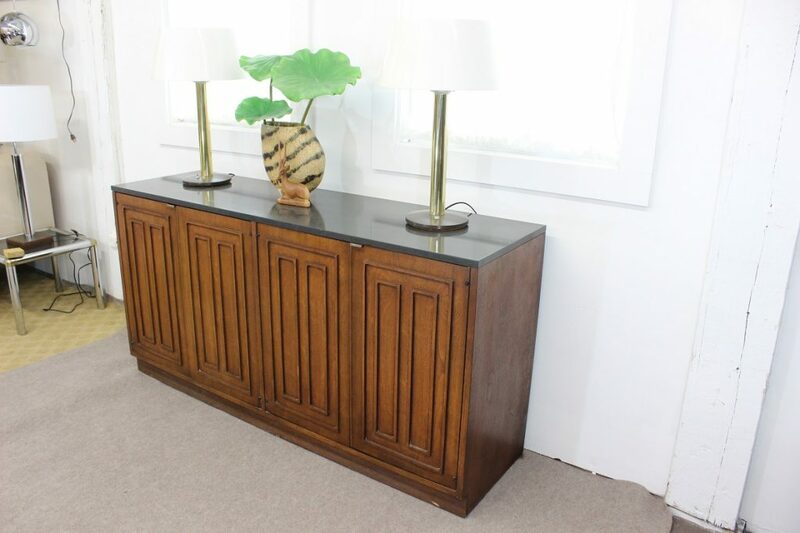 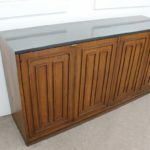 This is an absolutely stunning walnut credenza / buffet. 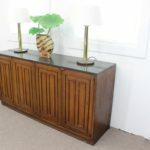 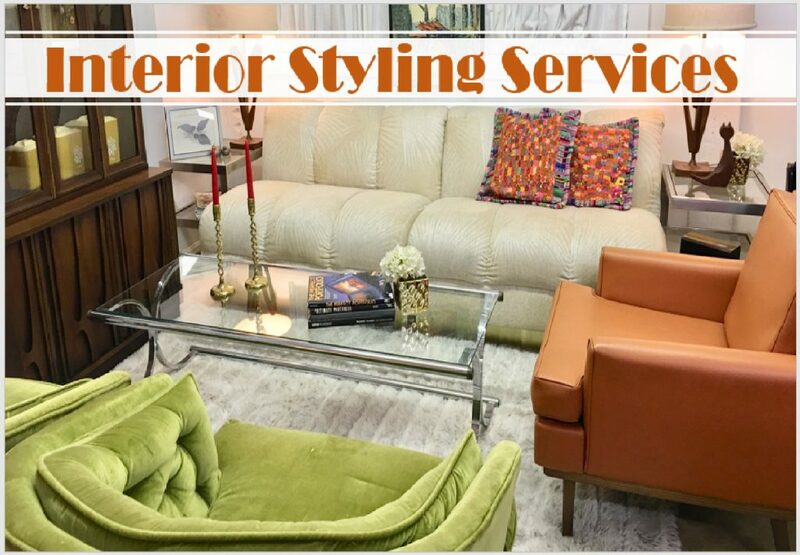 The design has awesome lines that are simple yet make a statement of beauty. 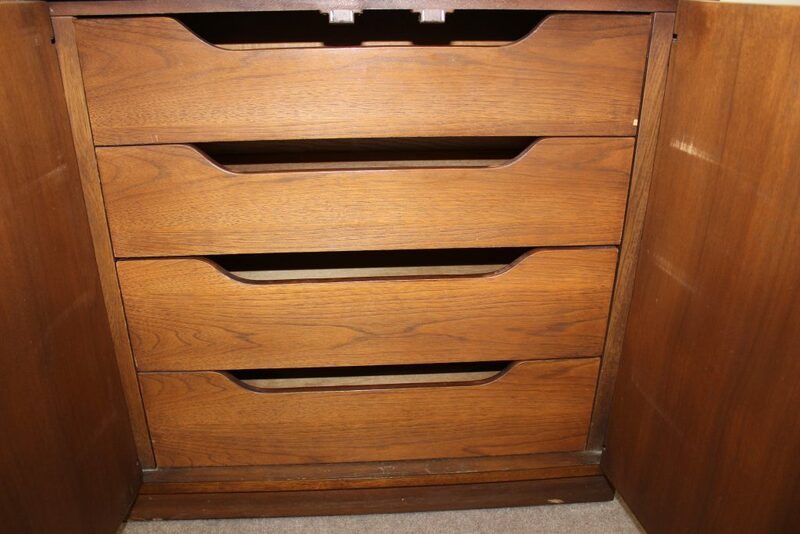 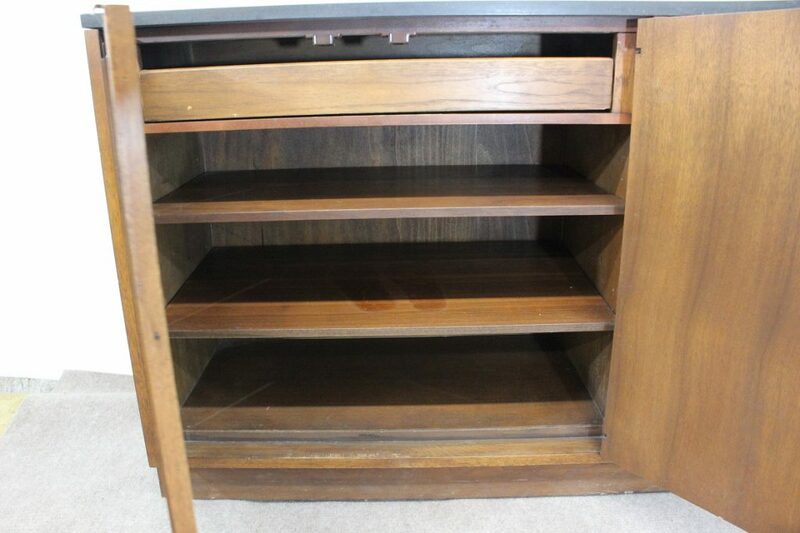 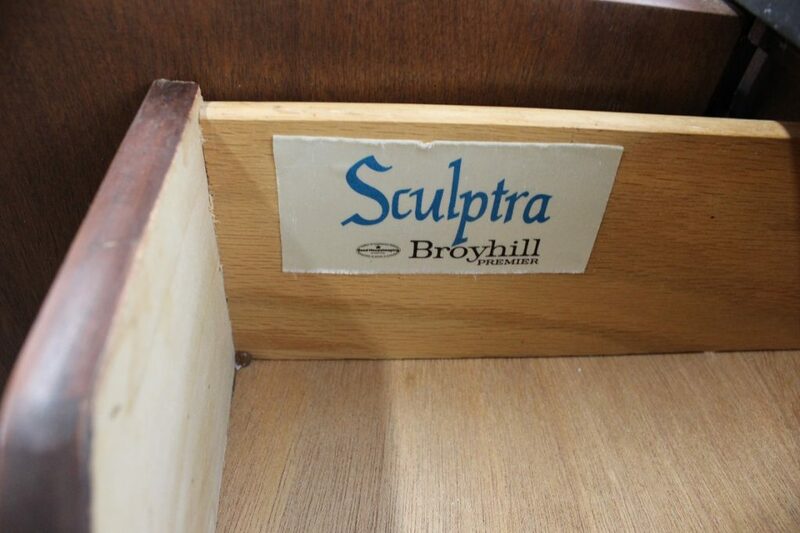 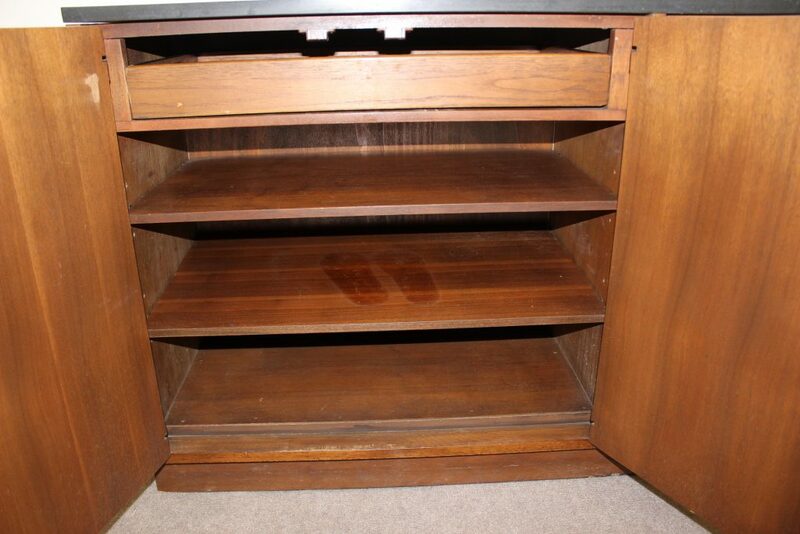 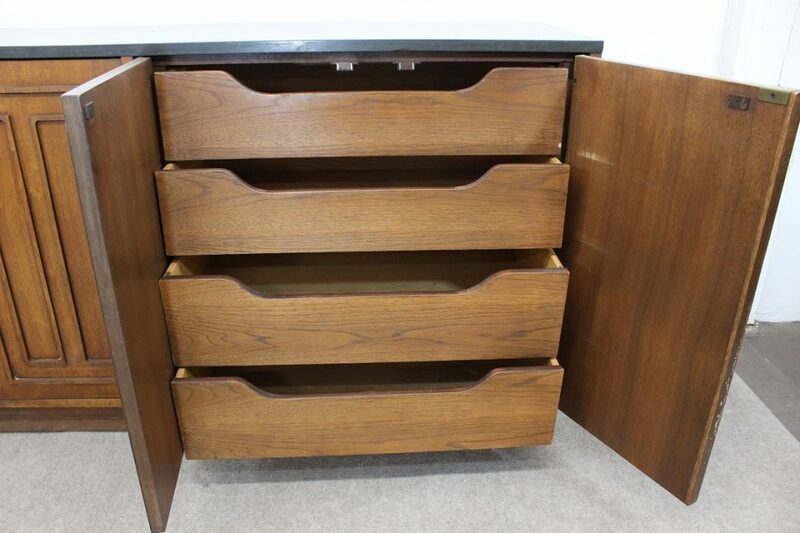 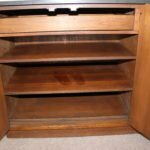 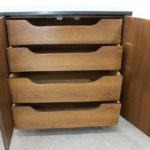 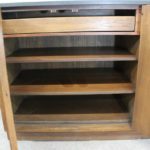 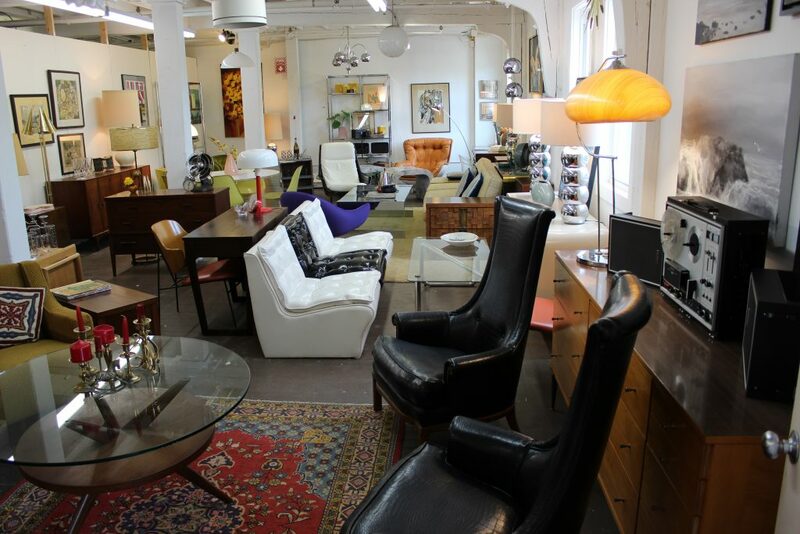 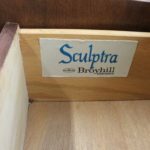 It is labeled inside the first drawer and it is rare, the label reads Broyhill Sculptra. 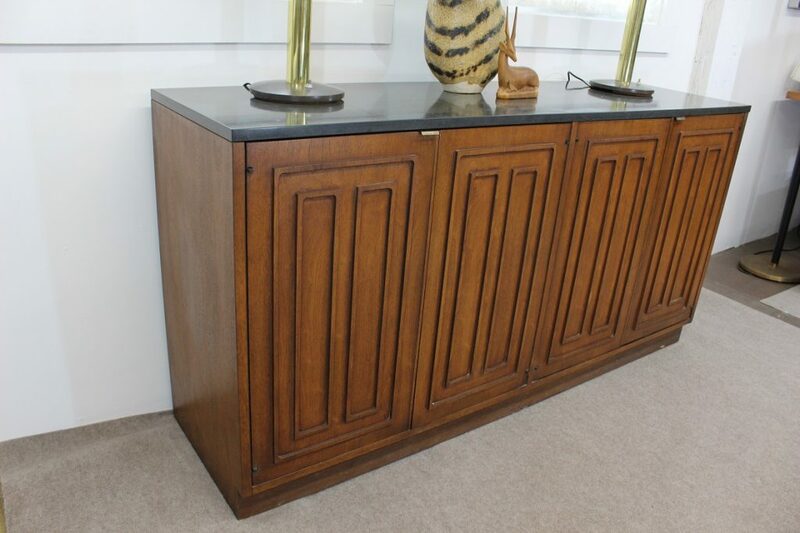 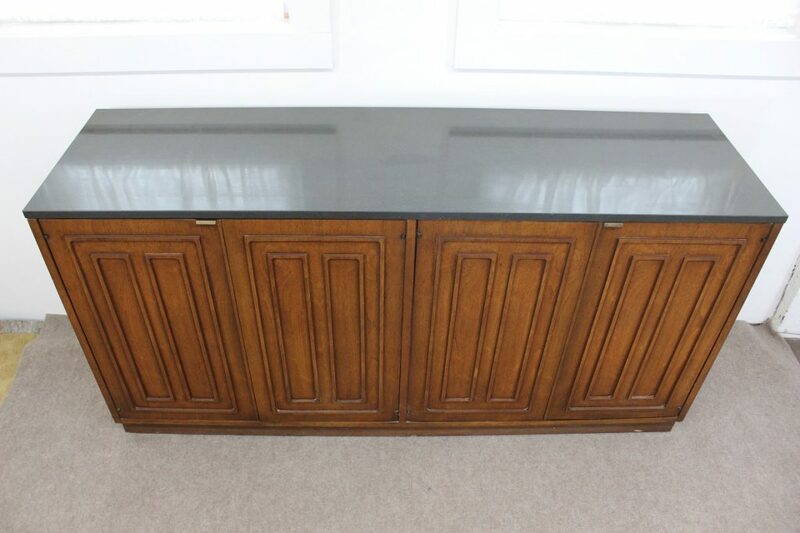 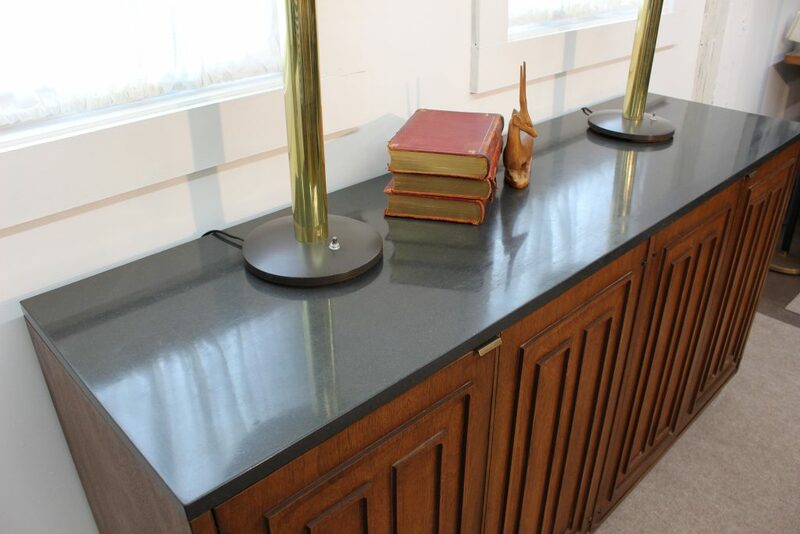 And pay attention to the details that take this credenza over the top; gray granite top, brass pulls. 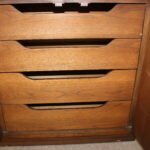 It has 4 drawers to store all of your items on the right side and on the left it has shelves, the top one houses a beautiful tray. 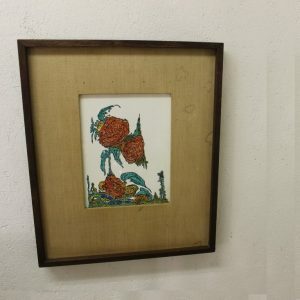 The color is still very bright and the piece is in overall great condition. 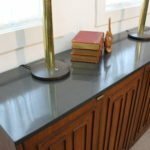 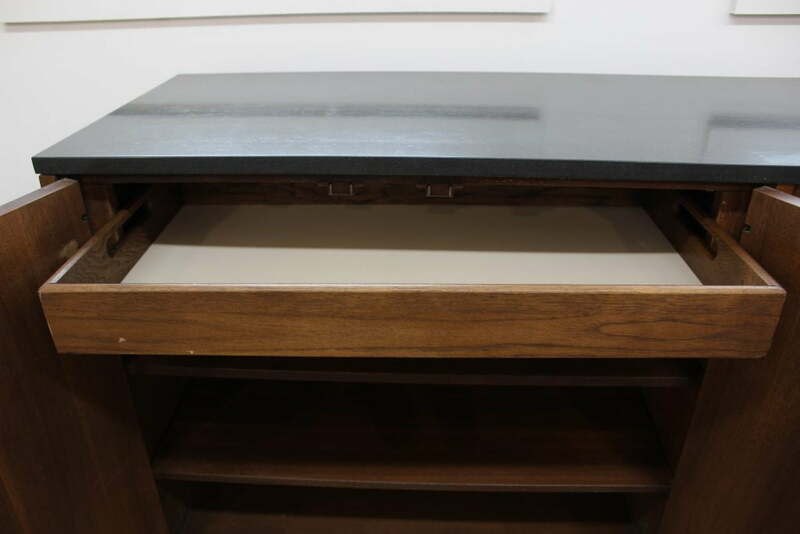 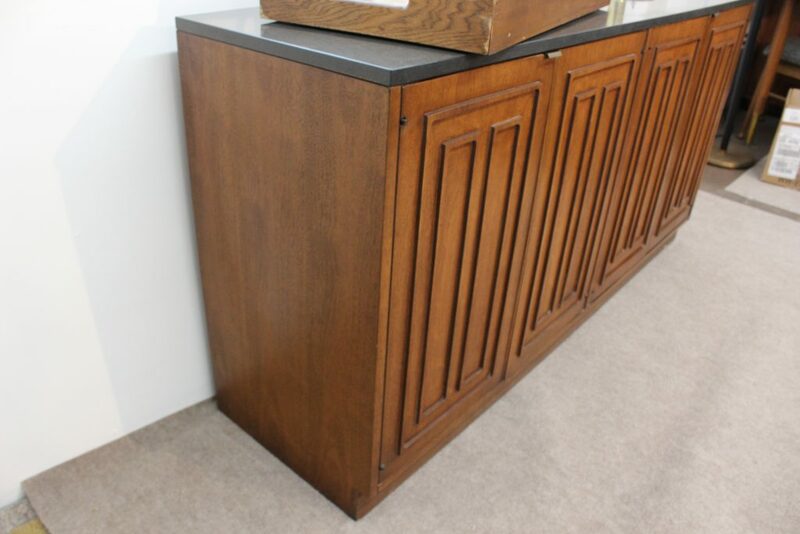 Some minor wear spots show on the credenza mainly on the brass pulls and the top. 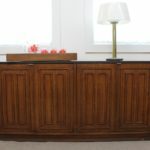 A couple of scratches on the top, the longest one you can only see when you are in the right light and at the right angle. 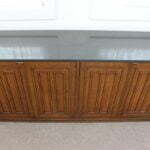 I took pictures of the scratches for full disclosure but they are not a deal breaker at all. 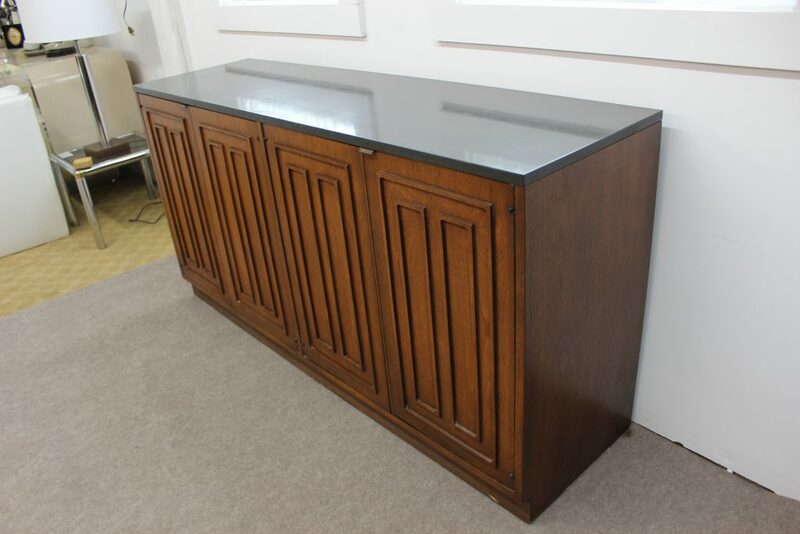 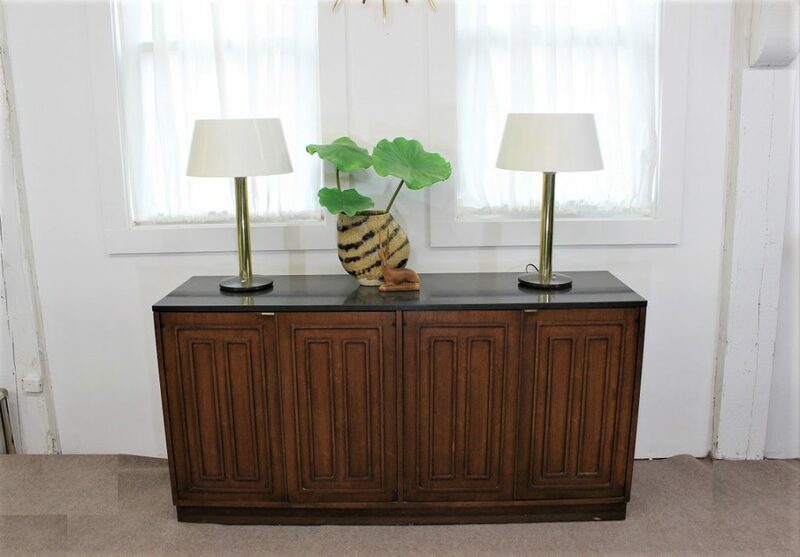 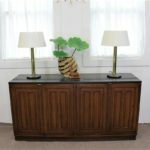 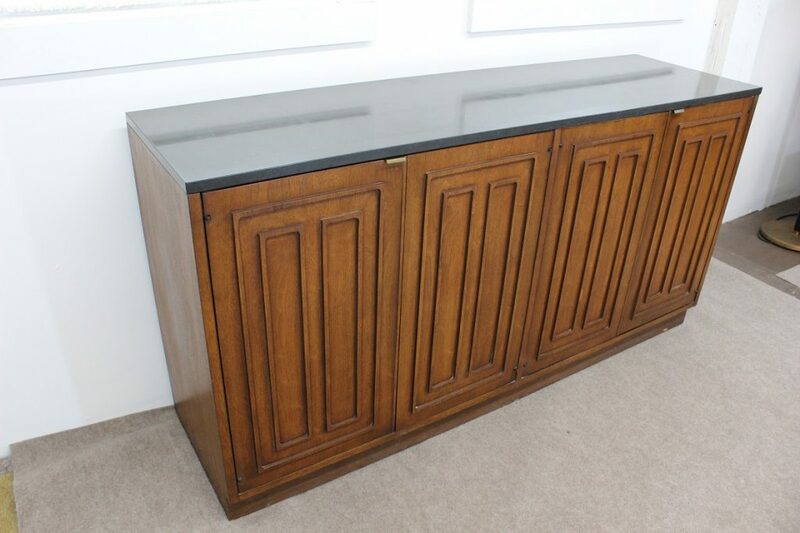 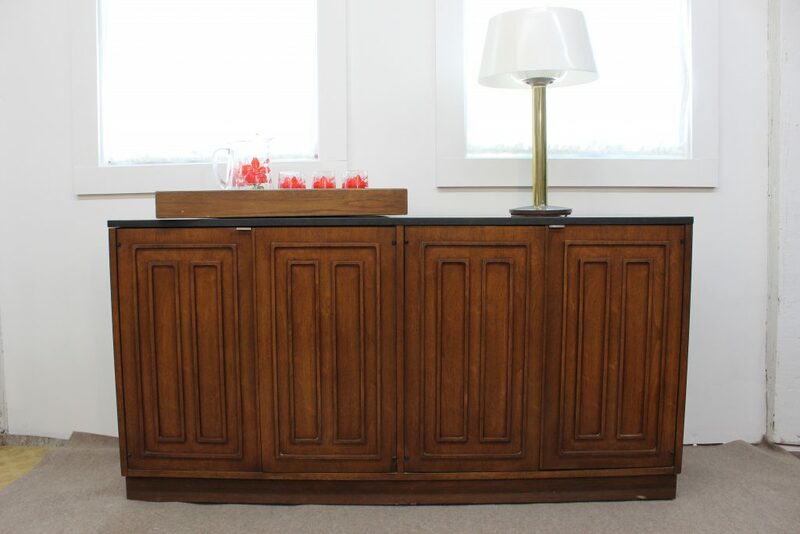 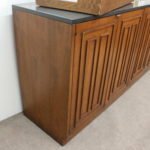 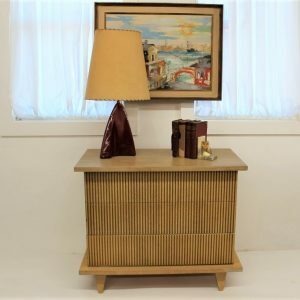 The colors and the design of this Broyhill credenza make it easy to pair with any decor and any collection but especially the Mid Century Modern, Hollywood regency, and eclectic collections like flea market style and boho chic. 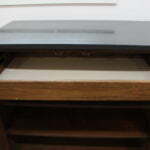 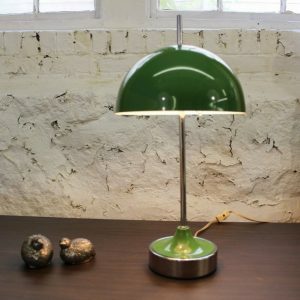 It measures 31″ high, 60″ long and 18″ wide.